CUSTOMERS USING "COMCAST" ADDRESS, PLEASE PROVIDE AN ALTERNATIVE EMAIL AS TIME AND TIME AGAIN IT IS IMPOSSIBLE TO REPLY. THANKS. Apart from the latest news above, here is the general state of affairs at the home of CC guitar straps I do everything myself. 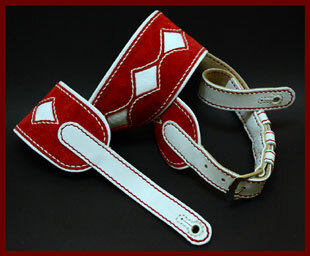 I design and make all the guitar straps with 33 years experience as a professional leatherworker behind me, most notably in the film industry. Now days I try and devote "most" of my time to making one of a kind unique guitar straps and running the cyber shop front which is the only place I am selling my work from.You will find already made guitar straps up for sale in the Deluxe Guitar Straps section and in the "0 "series straps (for electric guitars, basses and acoustic guitars), check toolbar above. If one of those takes your fancy but it would not quite fit, I might be able to make some minor alterations for you, please inquire.I take on selective custom orders at my own discretion. Let me know what your heart desires and I simply will let you know if I am willing to undertake the project. Generally speaking if I think it will not look good as a design or be practical I will not take it on. However I will advise you on possible alternatives. No offence meant to my customers esthetic points of views. I am just trying to keep my own integrity as an Artist and Crafts person working to the best of my ability and trying to keep things a cut above the rest and with as little creative boundaries as possible. No offence meant to the other strap makers either, only what I have always done and the road I'm on, "trying" hard to keep my work original, creative and of the highest quality. Totally hand crafted from start to finish, NO sewing machines or other kind of machine with all materials carefully selected for each design. Bespoke is what you get. 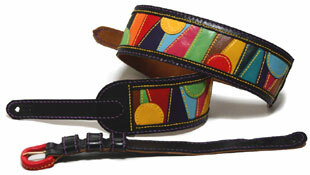 Prices for a custom guitar strap start at 320 Australian Dollars up to 680 Australian Dollars plus postage. This covers an informal dialogue via email to find out what kind of guitar strap would be suitable for your needs and to discuss your heart's desire. 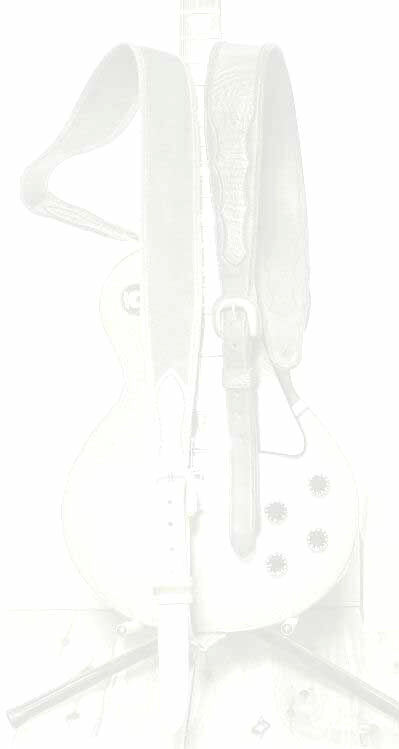 A picture of a sketch or sample of the intended design will follow as well as progress pictures in some instances.In short please feel free to ask me any questions or make any comments by sending me an ccguitarstraps@optusnet.com.au Oh ...(hint).... If you enjoy looking at my work I always like to hear about it, I loooove getting entries in my guestbook . 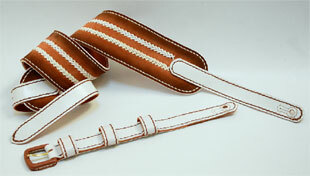 Feedback good or bad is always welcomed here.Thank you for checking my guitar straps.